Many times, during these last months, I thought to keep updated my blog writing a new post. Unfortunately, for one or another reason I always found an excuse to not do so. Well, I think that time is over because finally I found something useful and worthy the time spent time on the writing. – That is OK but … what are you talking about?. – Be patient Pablo, if you didn’t skip the headline of the post you already know about what I’m talking, probably :-). Yes, I’m talking about how to setup a MacPro computer into a icecc cluster based on Linux hosts to take advantage of those to get more CPU power to build heavy software projects, like Chromium, faster. The idea besides this is to distribute all the computational work over Linux nodes (fairly cheaper than any Mac) requested for cross-compiling tasks from the Mac host. I’ve been working as a sysadmin at Igalia for the last couple of years. One of my duties here is to support and improve the developers building infrastructures. Recently we’ve faced long building times for heavy software projects like, for instance, Chromium. In this context, one of the main issues that I had to solve is how to build Chromium for MacOS in a reasonable time and avoiding to spend a lot of money in expensive bleeding edge Apple’s hardware to get CPU power. This is what this post is about. This is an explanation about how to configure a Mac Pro to use a Linux based icecc cluster to boost the building times using cross-compilation. For simplicity, the explanation is focused in the singular case of just one single Linux host as icecc node and just one MacOS host requesting for compiling tasks but, in any case, you can extrapolate the instructions provided here to have many nodes as you need. The second important part of a icecc cluster is the icecc-scheduler. This daemon is in charge to route the requests from the icecc nodes which requiring available CPUs for compiling to the nodes of the icecc cluster allowed to run remote build jobs. 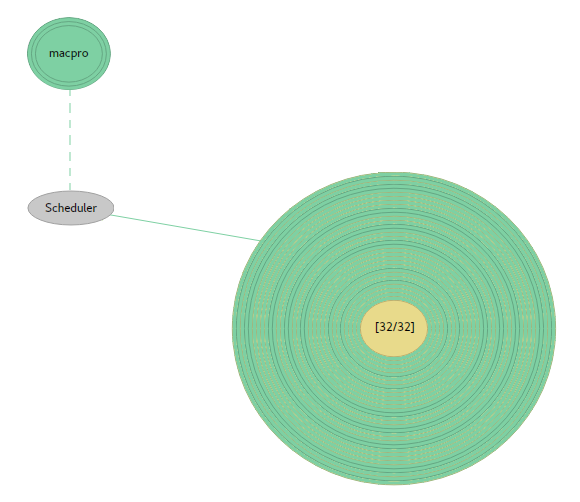 In this setup we will activate the scheduler in the Linux node (192.168.1.10). The key here is that only one scheduler should be up at the same time in the same network to avoid errors in the cluster. We don’t want run use the Mac as worker. We already have the icecc cluster configured but, before to start to build Chromium on MacOS using icecc, there is still something before to do. We still need a cross-compiled clang for Darwin on Linux and, to avoid incompatibilities between versions, we need a clang based on the very same version that your Chromium code to be compiled. ; this script encapsulates the download, configure and build of the clang software. A clang_darwin_on_linux_999999.tar.gz file will be generated. Once you have the /Users/psaavedra/clang_darwin_on_linux_332838.tar.gz generated in your MacOS. You are ready to set the icecc environments variables. The first variable enables the usage of the remote clang for C++. The second one establish toolchain to use by the x86_64 (Linux nodes) to build the code sent from the Mac. Reached this point, it’s time to build a Chromium using the icecc cluster and the cross-compiled clang toolchain previously created. These steps follows the official Chromium build procedure and only adapted to setup the icecc wrapper. ; with icemon you should see how each build task is distributed across the icecc cluster.